It would seem impossible to grow a company whose main products send potential customers away from its clients and into the waiting arms of rival firms. But that’s exactly how downtown ad tech firm MediaAlpha generated more than $100 million in revenue last year. The company has convinced auto insurers such as Esurance Insurance Services Inc. that they can – and should – generate incremental ad revenue from customers who are unlikely to buy their products by using its website to host ads for rival business that can offer a better deal to a specific customer. Over the last two years, the company has expanded into other industries such as travel booking, home mortgages, life insurance, and health insurance. The company’s platform identifies internet users who have filled out an online insurance quote form or have searched for flights on a travel website. 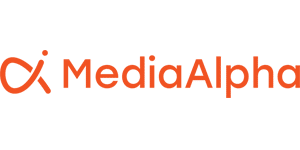 These are highly desirable consumers for advertisers because they have shown themselves to be motivated to spend – meaning MediaAlpha can charge top dollar for ads that target these potential customers. Ads sold through MediaAlpha range in price from $5 to $35 a click, said Yi, while sponsored search ads on Google AdWords platform carry an average cost per click of $2.32, according to Boston advertising software firm Wordstream. “The pricing for this type of inventory is highest in the industry,” said Yi. MediaAlpha is not alone in the space. New York’s HookLogic Inc., founded in 2004, has sold competitor ads to e-commerce sites for years, said Jeff Zwelling, founder of Santa Monica marketing analytics firm Convertro, which was acquired by AOL Inc. in 2014 for $101 million. French ad tech firm Criteo agreed to acquire HookLogic for $250 million in October. Zwelling noted that advertising inventory in the insurance market is limited because many major providers see the business model as a risky long-term strategy. Allstate Corp., Progressive Corp., and Nationwide Mutual Insurance Co. are some of MediaAlpha’s buy-side customers. MediaAlpha acquired Lowfares.com in 2015 to help grow its travel industry business.